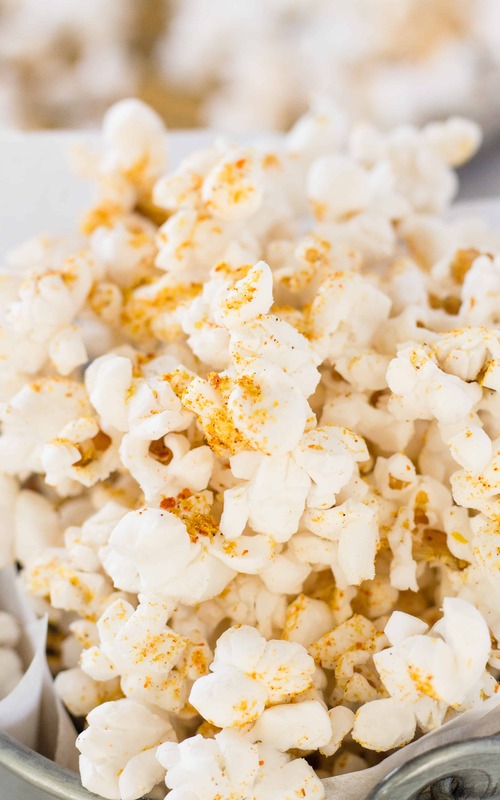 Spicy Nacho Popcorn is a gluten and dairy free snack that tastes like you are chowing down on Nacho Doritos but with a kick! And it doesn’t turn your fingers orange! 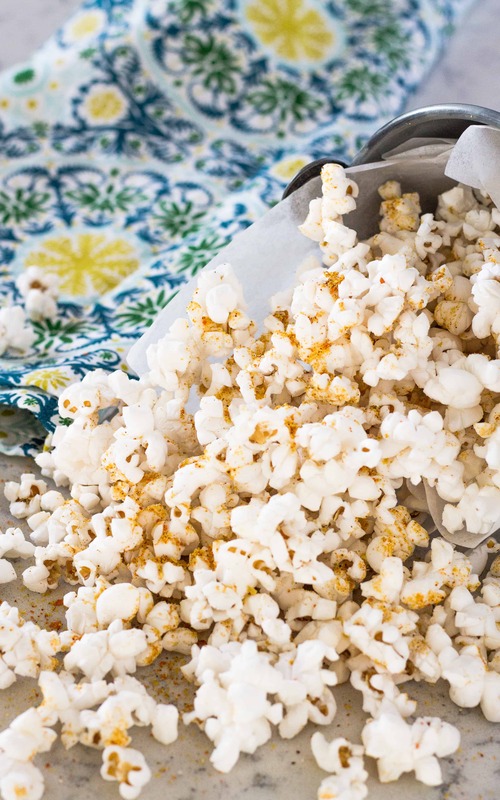 Popcorn is such a fun way to snack and even more fun with different and unique seasoning on it! 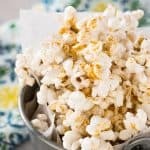 I recently made a Buffalo Ranch Popcorn recipe and I have to admit that I haven’t stopped eating it. So much that I have had to open up 4 fresh pairs of contact lenses because I keep getting the Buffalo Ranch Seasoning with the dried hot sauce in it. 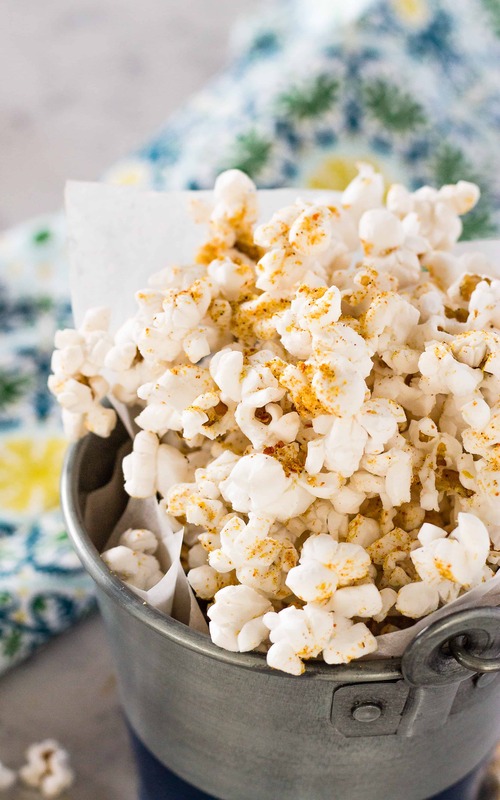 Popcorn is such a great gluten-free snack on its own and best dressed with a variety of flavors and not just gallons of melted butter! And if you can make a variety of seasonings, like my Italian or Greek Seasonings, the popcorn party is just getting started! My Homemade Ranch is dairy and gluten-free but guess what, my Spicy Nacho seasoning is too! And it can be considered vegan as well because it doesn’t use cheese but a secret ingredient that vegans love to use! Is Spicy Nacho Doritos Popcorn gluten-free, Dairy-free, AND Vegan? I am happy to say that because I air-pop my popcorn, it is! The other secret ingredient is nutritional yeast, or “nooch,” as it might be called. Without the Nooch, making a Doritos flavoring would be hard without actual cheese. That defeats the purpose. What is nooch? 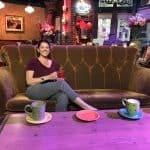 Nutritional yeast is a non-candida-feeding yeast that has a cheesy and nutty flavor that is hard to obtain without using actual nuts and cheese. Vegans like to use it achieve a cheesy taste without dairy. It’s a popular product and substitution because it’s vegan, dairy-free, gluten-free (double-check labels), has a ton of vitamins, low-fat, and has no added sugars or preservatives. Don’t laugh when I say that it looks a little like fish food flakes but it kinda does. When I went to buy some at my local Sprouts Market, I laughed as I was scooping it out of the bulk container. But when I tasted it, and you know I did, it had a nutty, cheesy, salty, and deliciously savory flavor. Now I know why people use it on popcorn instead of butter! I also love that I don’t have to say nutritional yeast, I can say “nooch!” Not “Hooch” but Nooch! Makes you want to get some even more right?!?! Let’s get started making our everything compliant popcorn Spicy Nacho Popcorn! The orange/red color really comes from the paprika and the chili powder but the cheesy/nutty savory flavor comes from one of two things: Parmesan cheese or nutritional yeast. Parmesan cheese is something I am totally into but when making a dry seasoning, you have to store the mix in the refrigerator. I don’t want that, I want something that stays in my spice cabinet. I prefer using nutritional yeast even though it is totally weird to me because it is dry and gives a little more oomph in the flavor in my opinion. You can choose to use the nutritional yeast or the Parmesan just sub out the other in equal amounts. As you can see I like the “nooch”, a spicier chili powder, some cayenne, and that dried Tabasco I made for the Buffalo Ranch Popcorn. When I mean spicy nacho, I mean, SPICY NACHO! 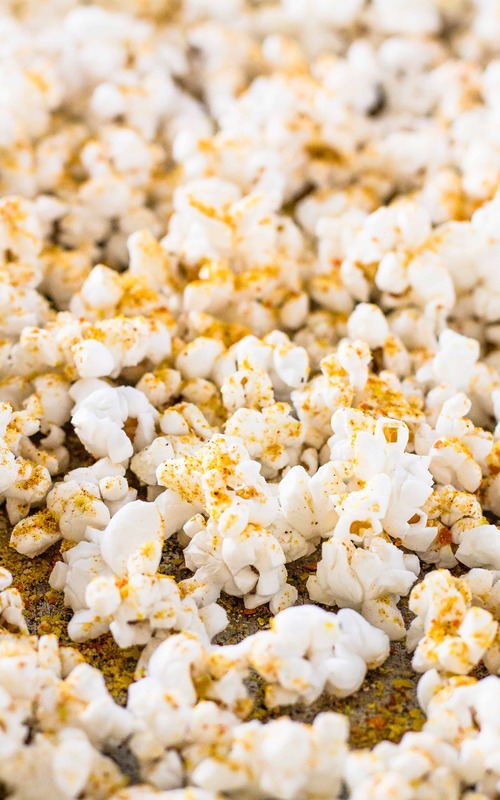 Sprinkle your popcorn liberally with your Spicy Nacho Popcorn Seasoning and get your snack on! Orange fingers not included. This recipe inspired by this one. Amazing! All the flavor of Nachos on popcorn. I’m ready to inhale some of this.